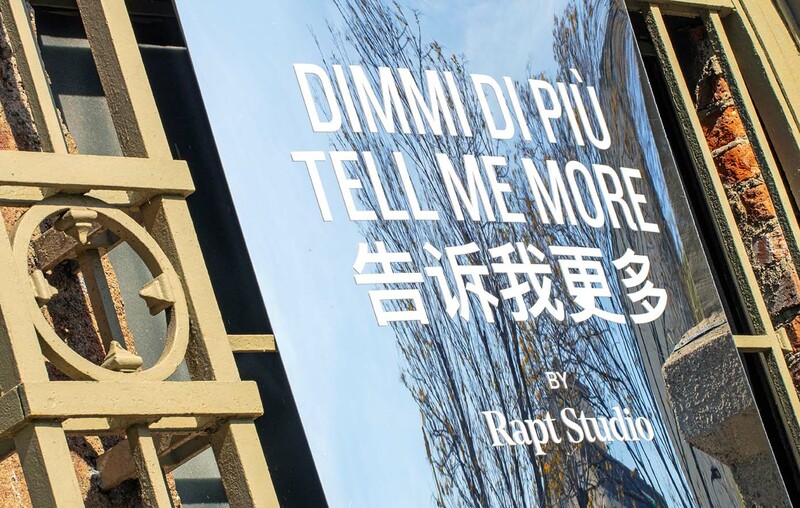 We're pleased to announce our debut at Milan Design Week with Tell Me More, an interactive, immersive installation at Ventura Centrale, April 9-14, 2019. With Tell Me More, we explore the intersection of spatial experience and emotional connection. We invite visitors to feel the emotion of arriving as individuals and leaving as part of something larger. 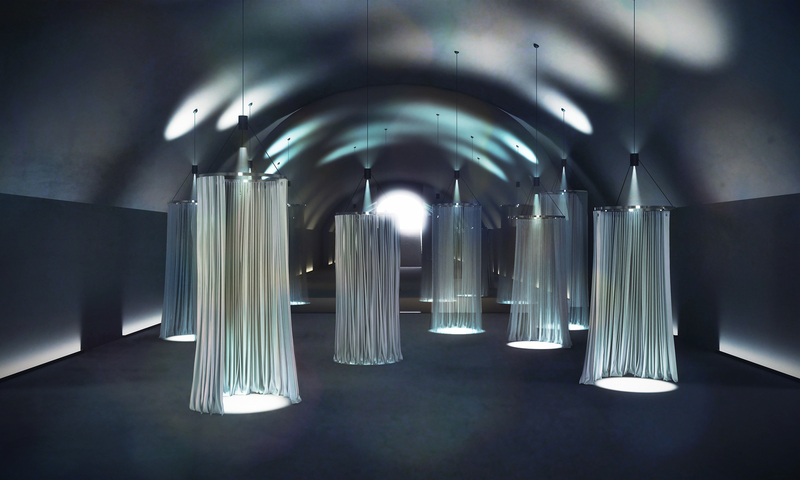 Inspired by the feeling of entering a beloved space, the two-part installation consists of an arrival chamber and expansive lounge, which serve as a backdrop to explore human connection. As guests first enter the space, they are greeted by small circular, drapery-clad “stages” – personal theaters. Each stage is a vignette within luminescent curtains, where guests are presented with a question posed by the stranger who came before them. Upon reflecting, visitors are asked to leave a query for the next guest before moving beyond mirrored walls into the lounge. Guiding visitors’ transition from their individual moments of reflection to a collective gathering is the design of the space itself: the cool, iridescent entrance leads to the warm, amber lounge. Throughout, accent colors emulate visitors’ varied experiences. 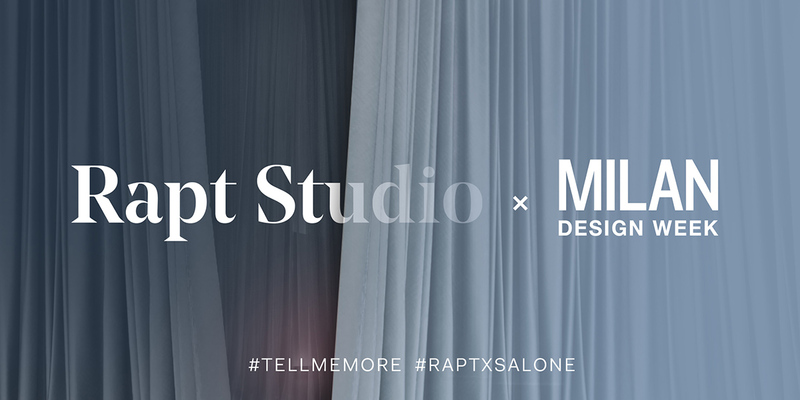 To bring Tell Me More to life, Rapt partnered with a selection of renowned design brands. Erik Bruce is fabricating intricate, artful drapery for key components of the installation, creating thoughtful compositions with both color and opacity. 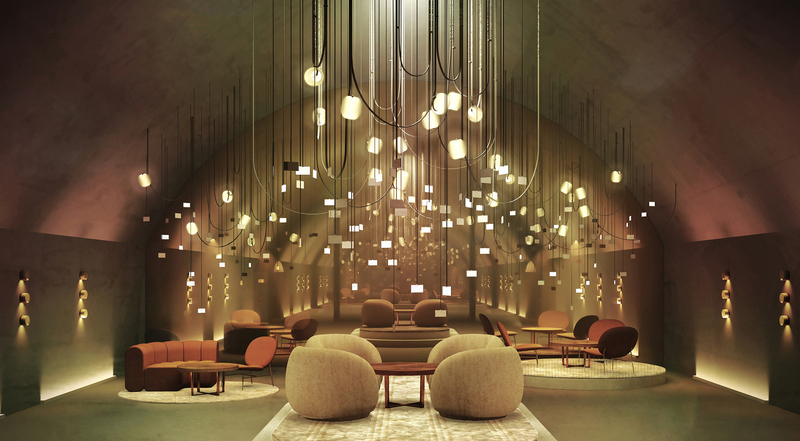 Brooklyn-based lighting studio Rich Brilliant Willing is providing decorative fixtures, including their Vitis chandelier; Moooi Carpets by Mae Engelgeer is showcasing their new collaboration, the Swell Signature collection, which uses a soft palette and groovy graphics. Concrete Collaborative is showcasing custom terrazzo platforms and bar tables handmade in California, and Swedish furniture brand Blå Station is displaying their Åhus easy chair, cocktail tables, and a custom Bob sofa. DZINE, the San Francisco furniture showroom and gallery, facilitated the partnership with Sancal, a Spanish furniture company featuring chairs and benches upholstered in Danish fabric. 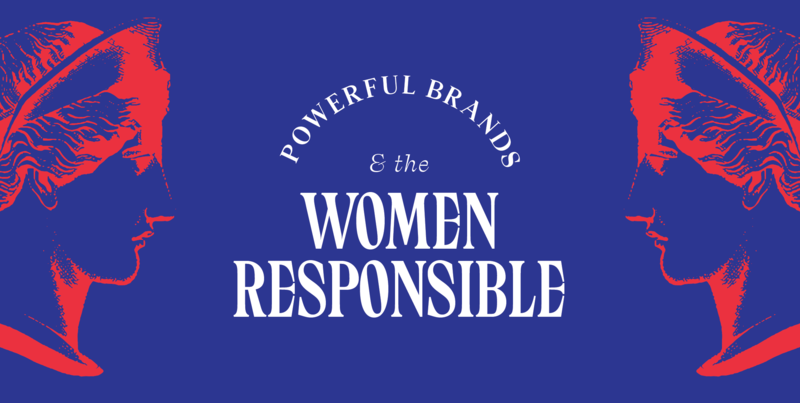 Bart Halpern is providing luxurious, iridescent fabrics called Liquid and Opal sourced by Erik Bruce, and The Bradley Collection – a drapery hardware company based in the UK – is contributing artisanal hardware. Carnegie and Création Baumann are contributing their Chamois fabric.